Sepco Combination coupling features durable die-cast zinc construction. It measures 1.645-Inch x 1.34-Inch. 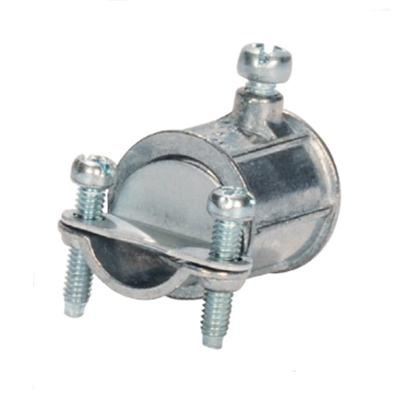 This combination coupling with tri-combo screws, has 1/2-Inch trade size. It is suitable for providing transition from EMT to NM cable. Combination coupling is UL listed and CSA certified.